ReadyTalk is a conferencing software designed for meetings, webinars, and webcasts. 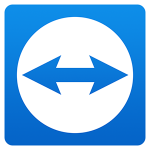 It enables users to host and participate in web meetings anywhere on their mobile devices. In this article, we cover ReadyTalk reviews and pricing. Ready to get started? Visit its website. Users who gave ReadyTalk a positive review commended it for being an effective communication platform for teams, individuals, and customers. They mentioned that its screen sharing tool enables them to easily collaborate with other users. Its ease of use and affordability were also cited. One user who gave ReadyTalk a positive review on Capterra said that it provides an excellent video and audio conferencing platform. He also commented that his team can easily collaborate with its screen sharing tool during web meetings. As of the date this article was written (March 6, 2019), there aren’t many negative ReadyTalk reviews available online. However, some users reported stability issues and system glitches when using the software. It is notable that users are happy with the software in general. ReadyTalk offers paid webinar and meeting subscription plans that range from $12 to over $249 per user per month. ReadyTalk pricing depends on the number of participants in a call. It also offers operator-assisted audio at an additional cost, which wasn’t disclosed in the website. Interested users may contact the ReadyTalk sales team for more information. *All Meeting plans are billed annually. 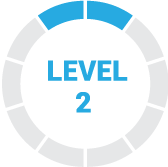 Users are required to pay in full at the start of the billing cycle. A customized Enterprise plan for meetings is also available. Ready to get started with ReadyTalk? Visit its website. 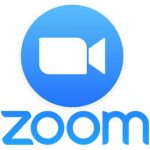 6 Best Video Conferencing Software for 2018 – Video conferencing software helps business owners meet with clients, customers, and remote workers over the internet using computers or mobile apps when face-to-face meetings aren’t feasible. In this article, we compared our top recommendations based on affordability, number of participants, and available collaboration tools. Can ReadyTalk users conduct business presentations on the platform? Yes. ReadyTalk’s meeting features enable them to present proposals during web conferences using tools such as screen sharing, multiple webcam sharing, and chat boxes. It also allows them to record meetings for transcriptions and reviews. Is there a feature that allows ReadyTalk users to share live events & activities? Yes. ReadyTalk has a feature called Webcast, which lets users live stream events anywhere in the world. It is targeted for marketing and communications-based users. 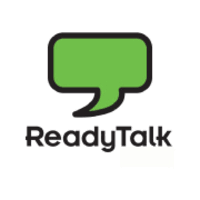 Have you read these ReadyTalk reviews and are still not sure if it’s the right fit for you? Read our reviews of all top video conferencing software or check out one of these three ReadyTalk competitors. ReadyTalk helped my organization offer high quality web training seminars for small business owners across the country. We have expanded our reach from local to global, we have developed new connections and increased the number of attendees to our webinars using ReadyTalk in a meaningful way. Compared to other webinar platforms, the ReadyTalk prices are a bit high. I was surprised by the first bill I received because there were different rates to the monthly flat rate, that is, the cost per telephone line. As an organization, we use ReadyTalk more than once a day. Personally I use it to meet with my Associates and Clients throughout North America. Audio, Video, Chat, Screen Share. Good product. 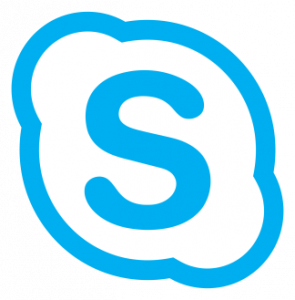 The features of the solution include a customizable interface with options to choose from among a variety of modules, such as real-time desktop sharing, slides, virtual whiteboard and advanced chat. One of the main features of ReadyTalk is the AutoPilot module that allows users to record a live session and its interactivity, such as polls, questions and answers or file sharing, and play it for a new group of attendees. The platform offers a high level of configuration, brand development and personalization, where users can create customized rooms to match the website of their organization. ReadyTalk offers a native application for Apple iOS devices (iPhone and iPad), as well as Android smartphones and tablets. All features are compatible for attendees to watch webinars / live presentations while on the move.